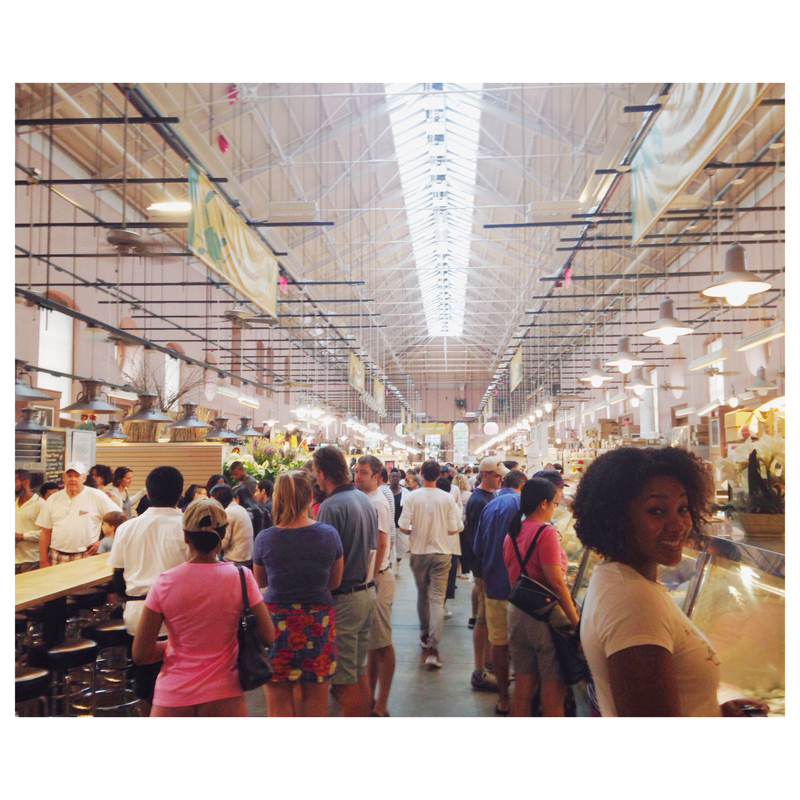 Passing Through: Hoping for Gold in Eastern Market, Washington D.C. The sweet smell of doughnuts frying tugged us in one direction, while waist-high barrels of artisanal pickles pulled us in another. The cash stuffed in my wallet held steady as we made our way past the food, bins of colorful produce and pots of fresh herbs and crossed the street into a converted parking lot, now marked “Flea Market.” I had one mission: score a one-of-a-kind accessory to accompany the modest, homogenous collection I had back home. I circled the potential that overcast, slightly cooler D.C. day. I said no thanks to the beaded and sterling silver options and glazed over the gaudy, the overly ornate and the downright impractical. I began to wonder whether it was time for more coffee when a beautifully organized table of gold chains, pastel stones and geometric shapes came into focus just as we came full circle. Breaking my stroll I marched up to the table, eyes wide, fingers reaching to touch the delicate pastel stones and geometric shapes that hung from delicate gold chains. “I want everything,” I squeaked as I seized up with indecision. Hearing me, a woman and her daughter both agreed. They clutched fistfuls of the good stuff as we commiserated beside each other at the selection of options at our fingertips. The young girl offered her off-base yet endearing recommendation as I clasped a few options around my neck and rotated left, right, willing the angles shimmering in the small mirror I stood before to lead me to a definitive decision. There can only be one, I told myself. One particular necklace pulled me in, but its colors, gold and beige, looked similar to pieces I already owned. Reluctantly, I instead crept my fingers over the turquoise version and immediately regretted it as another woman came up behind me to swoop up my first love. Defeated, I dragged my feet to the end of the table, one eye searching for second best – this long gold chain with gold and black angular pendants could work – while the other eye surveyed the dark, curly-haired woman who was about to go home with MY necklace! As an alternative, I tried to talk myself into gold and black pendant and consulted with my flea market companion on my need to explore accessorizing with punchier colors like coral! And turquoise! I noticed curly-haired woman slowly walking towards the vendor to stop, only to turn around and stroll back toward me! There she was, doing exactly as I hoped she would; no sooner did she place the necklace back in its white velvet nesting box than I pluck it back into my possession. If she didn’t want it, “I’ll take it! !” I giggled, satisfied and relieved. “Which one did you get?” the bright-eyed girl inquired, fistful of options still in her hands. “Me? ….the neutral one,” I laughed. Now, back to that coffee. The fresh meats, cheeses and food vendors of Eastern Market, Washington, D.C. Tags D.C., eastern market, Flea Market, washington d.c.